This site describes the families of my ancestors. Click here for complete list of Surnames, Family Sheets, and the Index. If you want more information, or can contribute information or corrections, please e-mail me. The family of William Walton Kitchin & Sue Musette Satterfield. 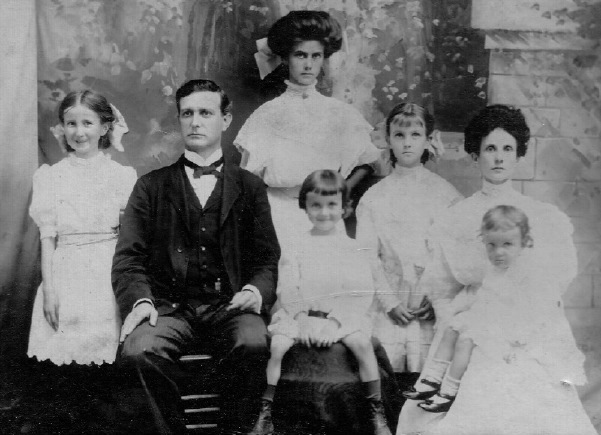 Children (L-R): Anne Maria, Elizabeth Gertrude, Clement Satterfield, and Sue Arrington. Photograph taken circa 1905 in Roxboro, NC. Surnames, Family Sheets, and the Index. Check out our new recipe section.